As I have often mentioned, the offseason content on this blog can be characterized as an ongoing battle between the old and the new. 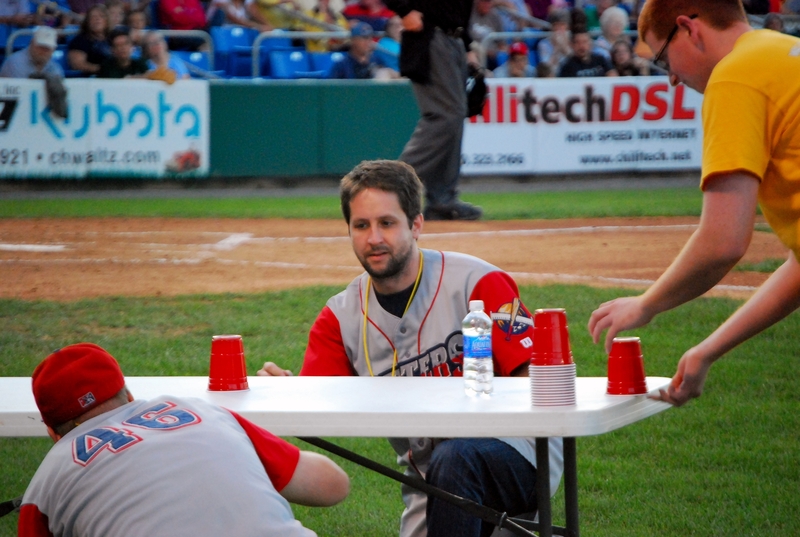 The urge to share new Minor League initiatives and ideas must do constant battle with the desire to give belated coverage to that which I didn’t get around to writing about during the season itself. But why must this dynamic always be framed in oppositional terms? Today’s post represents an attempt at reconciliation, so that the old and the new may transcend temporal concerns in favor of taking up residence within the eternal now. It’s a perfectly logical approach. Like it or not, Valentine’s Day is less than a month away. 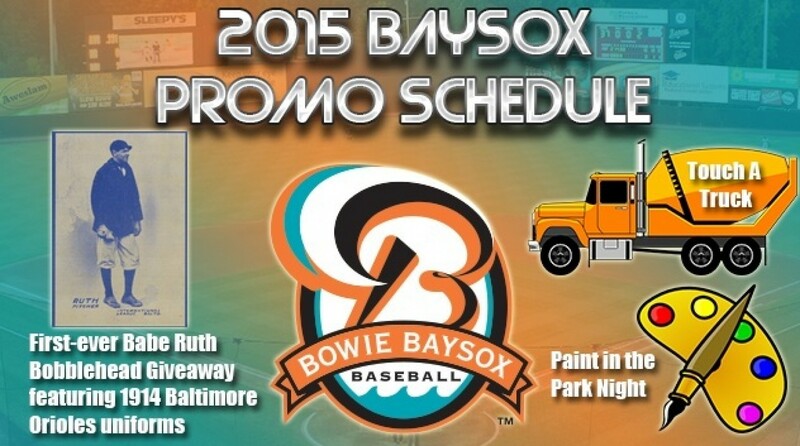 The Bowie Baysox, like many teams, are offering a variety of romantic ticket packages in honor of this occasion. 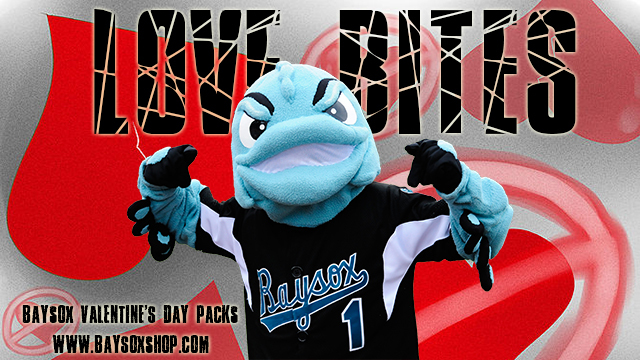 But, unlike many teams, they are also offering a vitriolic “Love Bites” anti-Valentine’s Day package featuring secondary mascot Rocko. The Rocko’s Love Bites Pack is $55 and perfect for the downtrodden on what can be a quite depressing holiday. 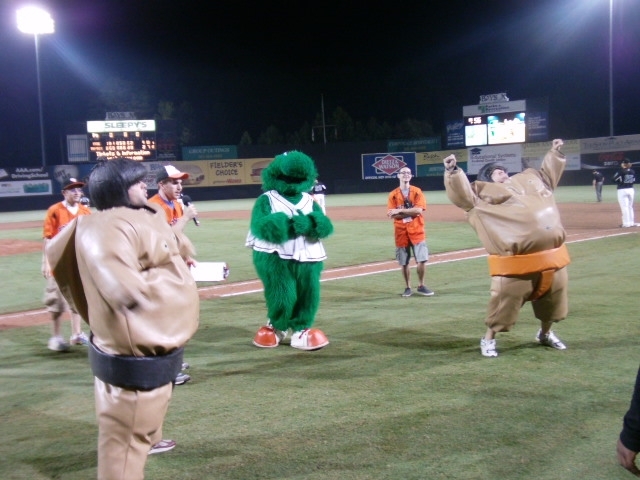 This lonely hearts package includes four SINGLE game General Admission Baysox tickets to enjoy by yourself, a Baysox Foam Claw signifying your ripped out heart, a Black Baysox Mini-Bat to fend off any nearby happy couples, six black balloons to denote your singular unromantic status, and a pint of ice cream with a special Baysox bowl to help alleviate your sorrows. But that’s not all, for Rocko will also help those in unhappy relationships hit the killswitch. 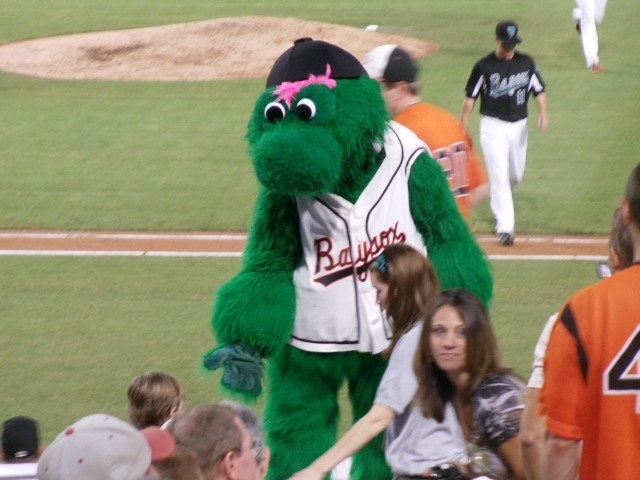 Fans can have the frustrated fish do the dirty work for them and deliver his Love Bites Pack within 25 miles of the stadium to help you part ways with a significant other. If anyone takes Rocko up on this offer, then I have but one request: Make sure you get it on video. 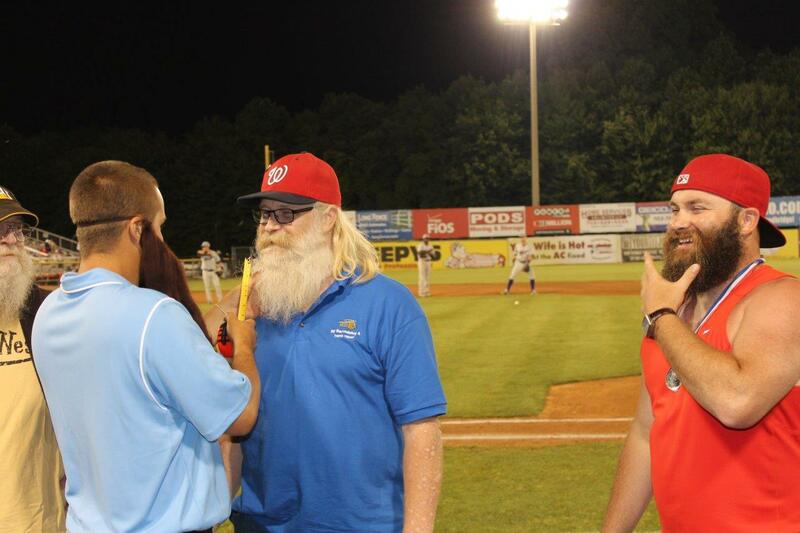 Remember back in June when the Potomac Nationals hosted a “Beard-A-Palooza” weekend in honor of Jayson Werth? 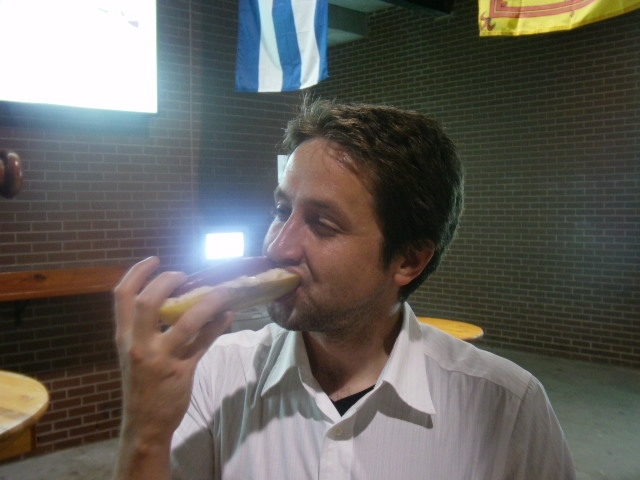 Well, I have obtained photos of the festivities (by “obtained” I mean the team sent me some). 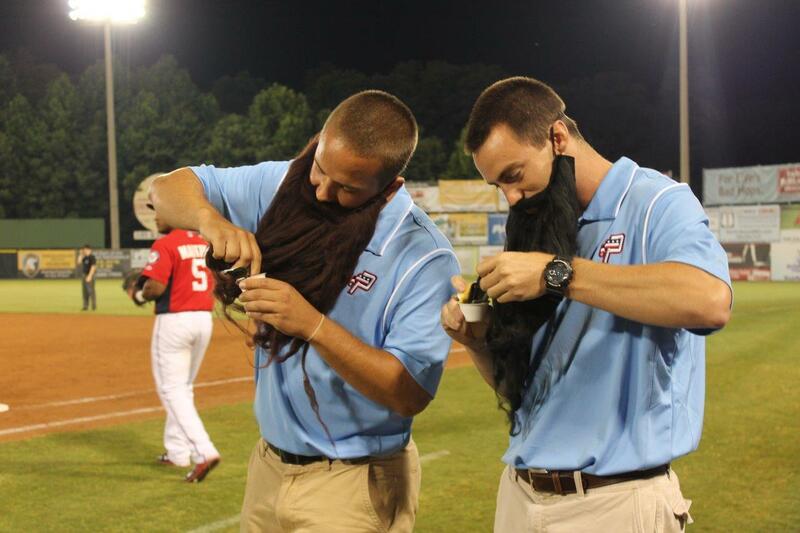 Here, a pair of front office staffers engage in a beard-tasting competition. As someone who loves Minor League Baseball and collecting autographs as well as road trips I look forward to your posts. However, I’m disappointed that you are missing out on a great promotion not too far from your NYC location. 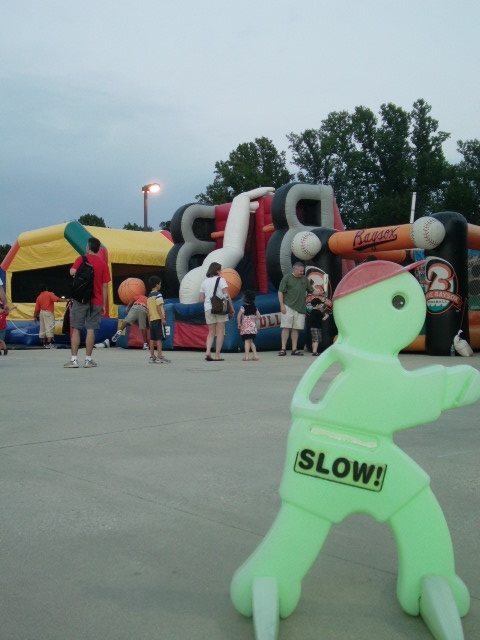 If you do not have any Memorial Day plans I think you should schedule a trip to Bowie, Maryland and write about about the 1K beer run that [the Baysox] do. I was unable to make it Bowie for the 2013 1K Beer Run, but invited Michael to write a guest blog post about it if he so desired. He took me up on this offer…eventually. 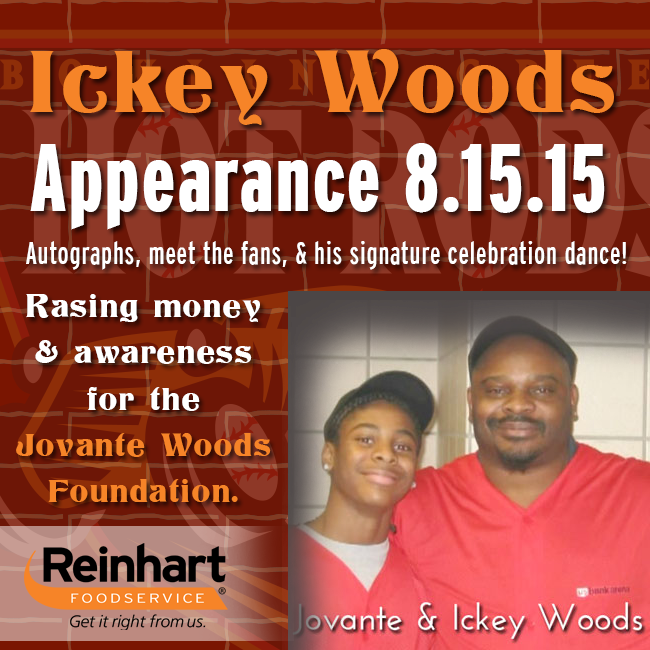 This past May, 13 months after he first got in touch, he sent me a detailed recap of the 2014 version of the event. By this time I was on the road, neck deep in my own ballpark endeavors, and thus unable to find the time to run it here on the blog. 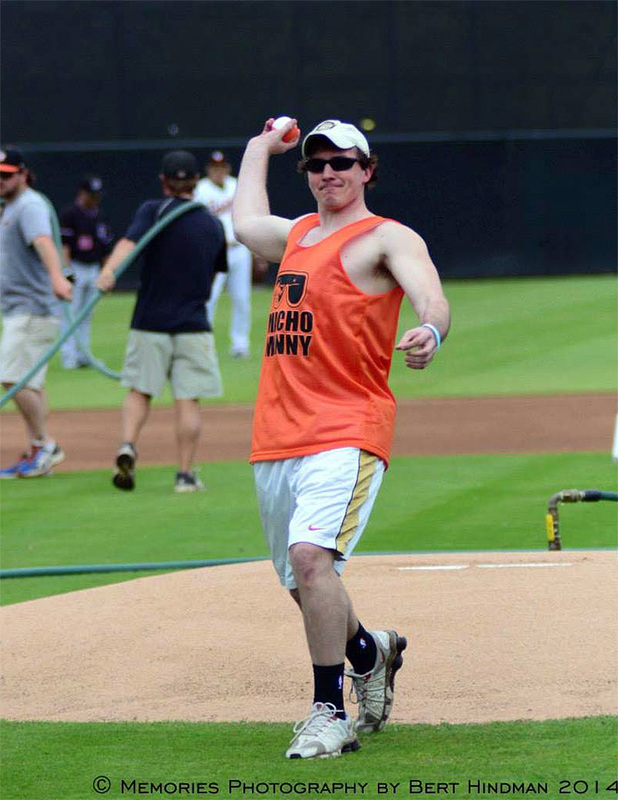 But now here we are, in January of 2015, the depths of the offseason, and I finally find myself with the opportunity to post Mike’s Bowie Baysox 1k Beer Run recap. So here it is, some eight months after he sent it to me and 21 months after he first got in touch. Ben’s Biz Blog — The Pace is Glacial! 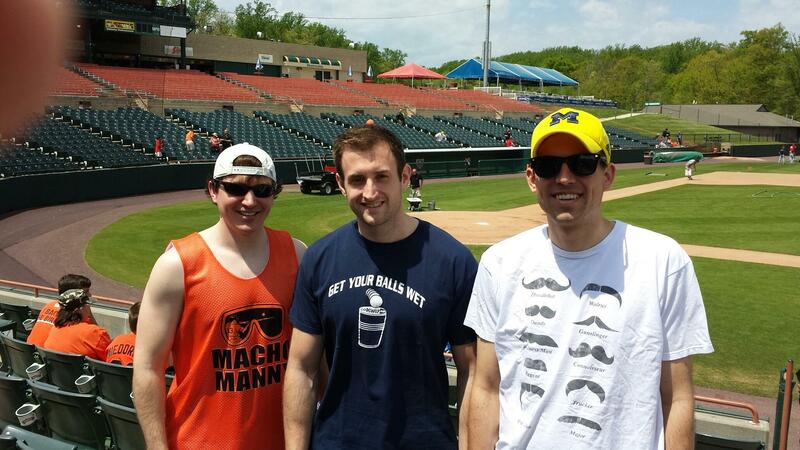 May 4th was the first of two Bowie Baysox 1K Beer Runs for the 2014 season. 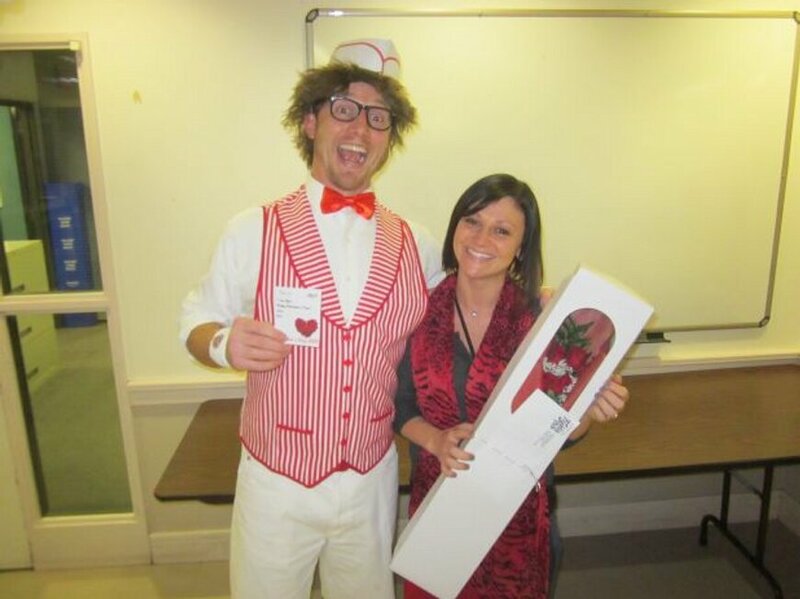 It also happened to be the date for my fiancée’s bridal shower. Since the bridal shower was an all-girls event, I was able to head to Bowie with a couple of friends and my dad to participate in the wonderful 1K Beer Run. 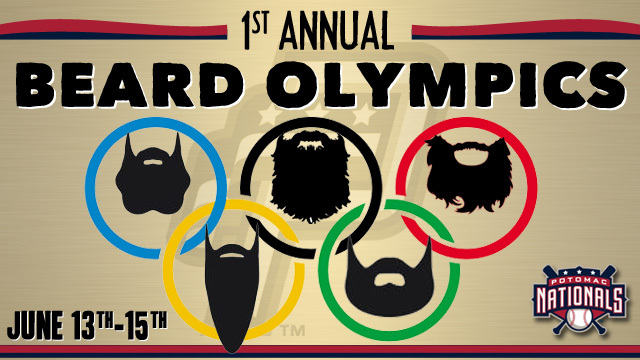 Having already participated in this event in 2013, I decided to employ a different strategy to try and win the run. 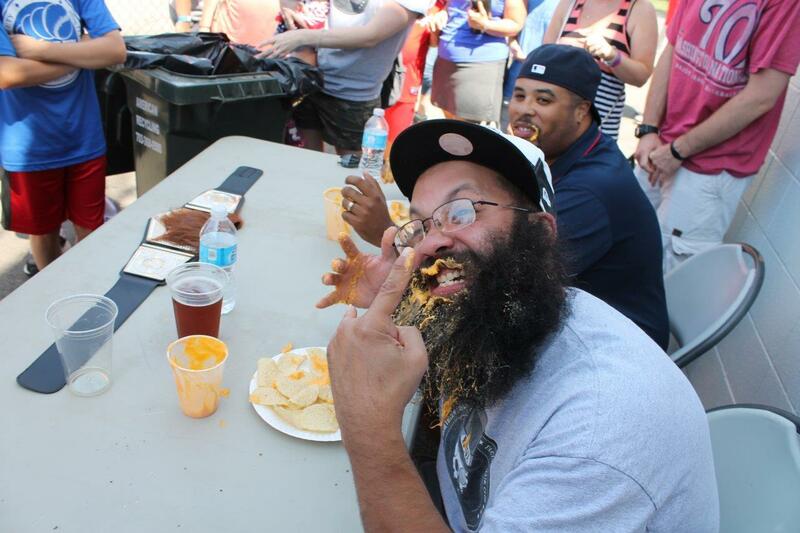 Since I am not the best beer chugger in the world, I decided to simply shotgun the beers after each lap. 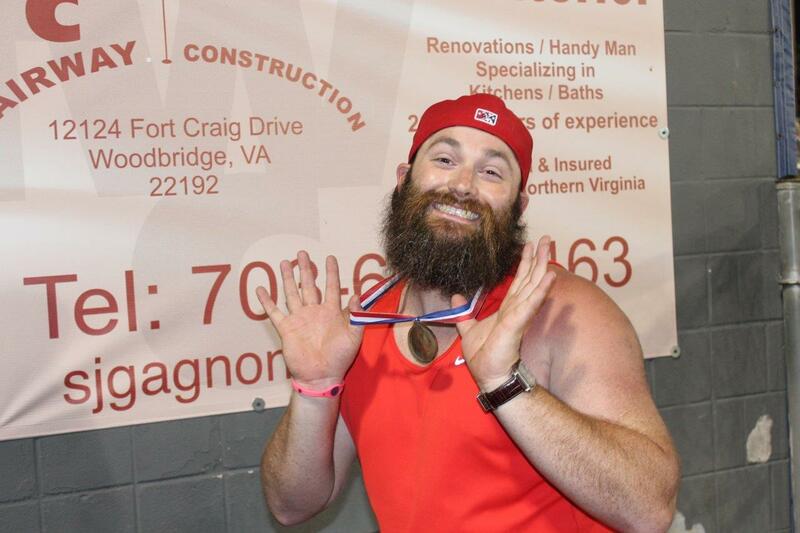 Although for about 4-5 seconds I felt terrible, I was able to quickly get back to the running part of the race. 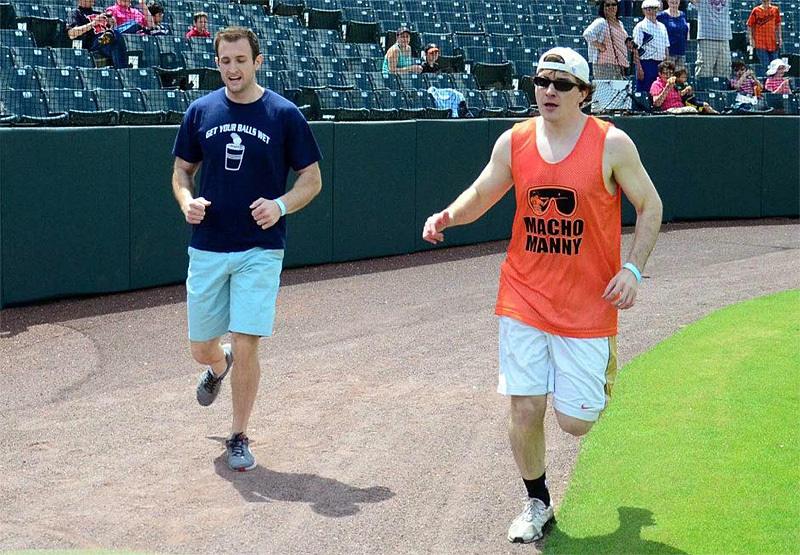 It was a three-horse race throughout the run and my friend Andrew Renison and I were able to pass another participant by the left-field foul pole as we were heading in for the final turn. Once we passed him it was a two-horse race and I was able to edge out a victory right at the finish line. 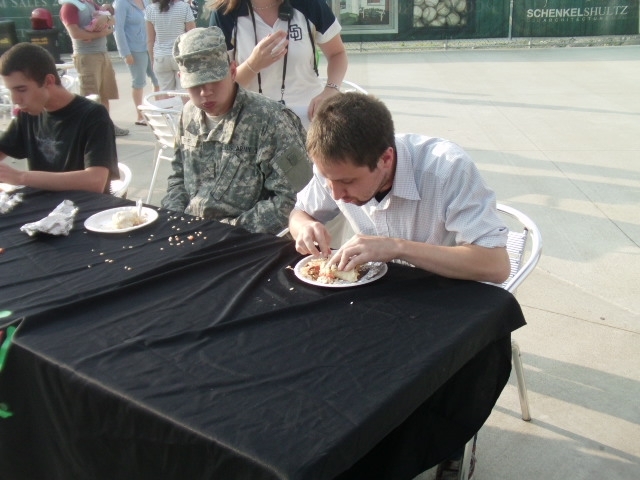 Some may say Andrew let up to let me win, but we will never know. 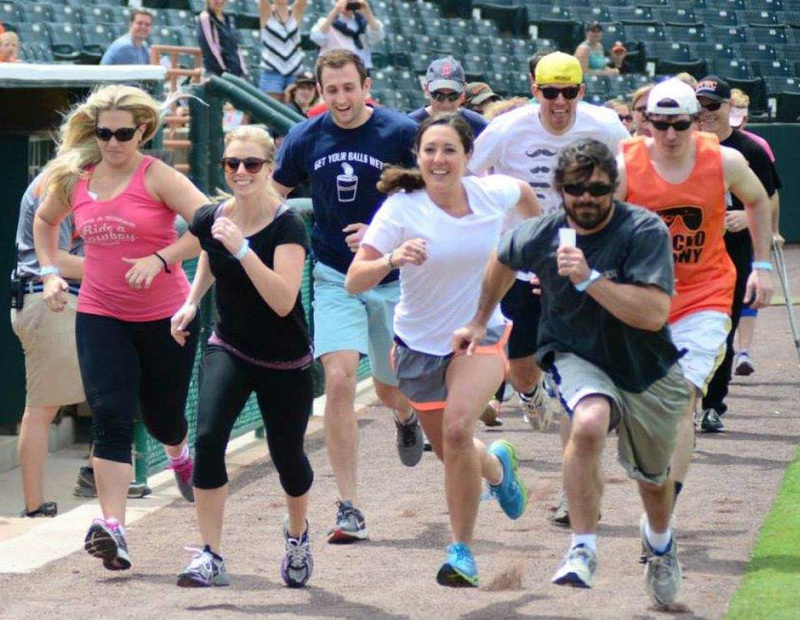 Despite the horrific first pitch we were all able to still have a good time at the rest of the game. 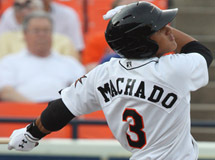 Bowie won, 8-5, behind home runs by Christian Walker and Dariel Alveraz, two of the Orioles’ better prospects. 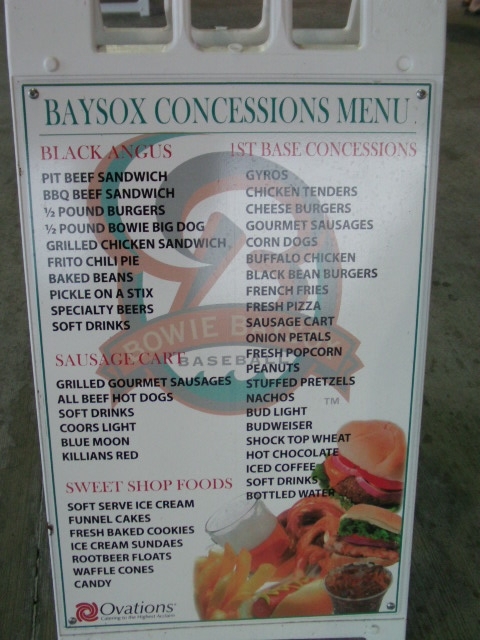 During the game we were able to enjoy the wonderful food and beer selections that the Baysox had this season. Over the last couple of years the team has really expanded their craft beer selections, serving local beers such as Loose Cannon and Flying Dog. 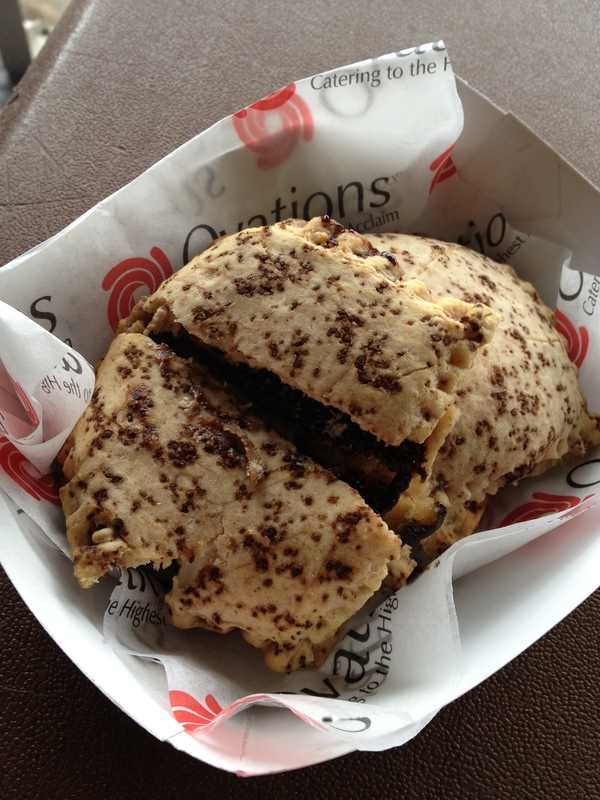 In addition to the great beer selection, they have a couple of unique food items that we tried out. 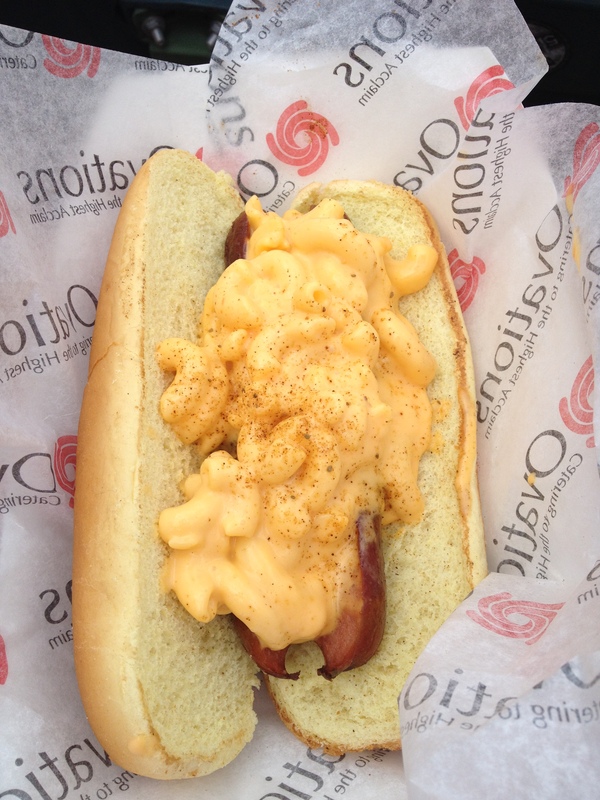 We had a hot dog stuffed with macaroni cheese and Old Bay seasoning sprinkled on top as well as an Old Bay sausage, which were both phenomenal. Then again, anything with Old Bay on it tastes great. Unfortunately I was not able to defend my title for the next race, on June 21st, since I was on my honeymoon. But I’ll definitely participate again next year and look forward to you visiting Bowie on one of your next road trips as well! 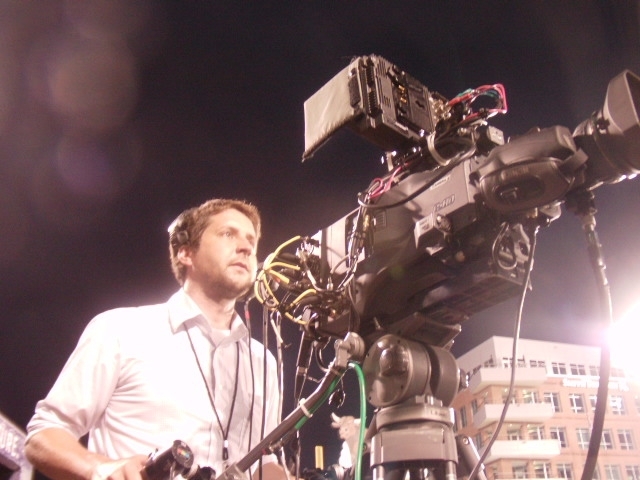 A big thanks to Mike for taking the time to write this guest post. For the record, I did visit Bowie on a 2011 road trip; hopefully I can make it again in 2015. Starting any piece of writing with the formal definition of what will then be discussed is as hackneyed as it gets. But when has an aversion to the hackneyed ever stopped me before? 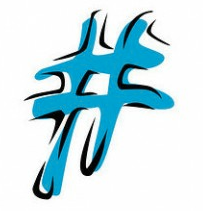 Hashtag (noun) — The # symbol, called a hashtag, is used to mark keywords or topics in a Tweet. It was created organically by Twitter users as a way to categorize messages. 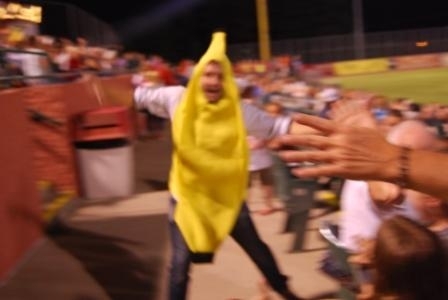 While this may be old news to the more social media-adept among us, I included the above definition (taken from the Twitter Help Center) as a way to bring everyone up to speed regarding a technique that I’ve been using more and more as a means to gather news and opinions from the disparate corners of the MiLB universe. 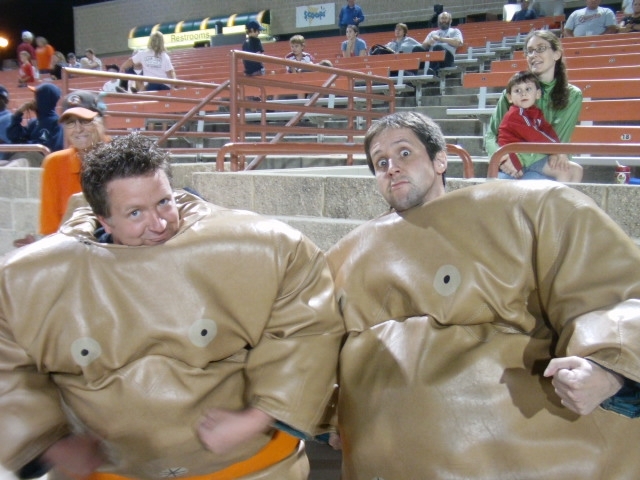 For instance, I established the #MinorLeagueFrontOffice cliche hashtag as a means to collect said cliches, and the result was the “Minor League Front Office Cliche” compendium that you may have read (and may have even enjoyed) last week. 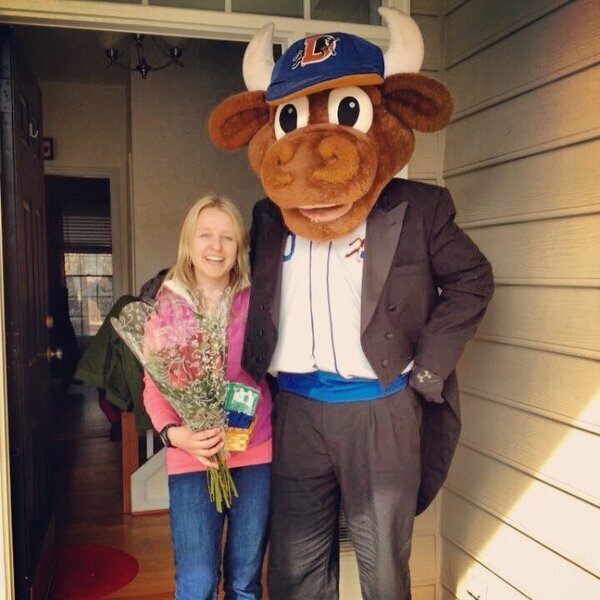 And on and on the #mascotlove went, but at this point I think you get the general idea. 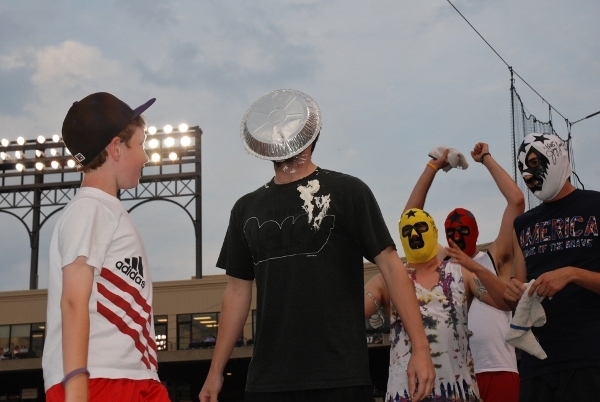 Meanwhile, the Harlem Shake has been a gargantuan internet trend over the past week. While its power is now waning, mercifully, the #HarlemShake hashtag provides a seemingly infinite list of individuals and institutions who did their own version. This includes Minor League teams, of course, with the State College Spikes the first out of the gate. 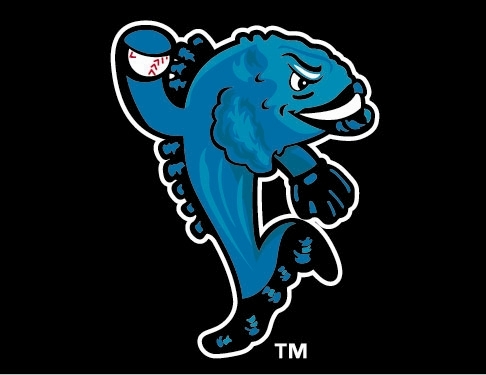 The Connecticut Tigers soon followed suit, and other teams to post their own versions include the Columbus Clippers, Vancouver Canadians, Lake Elsinore Storm, Tulsa Drillers, Buffalo Bisons, Round Rock Express, Delmarva Shorebirds, Charlotte Stone Crabs, Gwinnett Braves, Corpus Christi Hooks, Fort Wayne TinCaps, Lexington Legends, Bowie Baysox and Frederick Keys. As for a favorite? 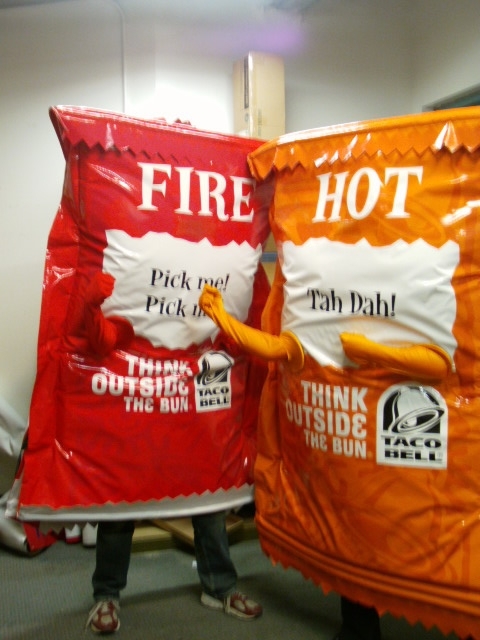 Choosing one is a near impossible task. But I’ll go with the Connecticut Tigers, due to their creative use of outdoor environs. Also, the “roar” at the end of the song is very fitting given the team name. I can’t seem to post this. So watch it HERE. 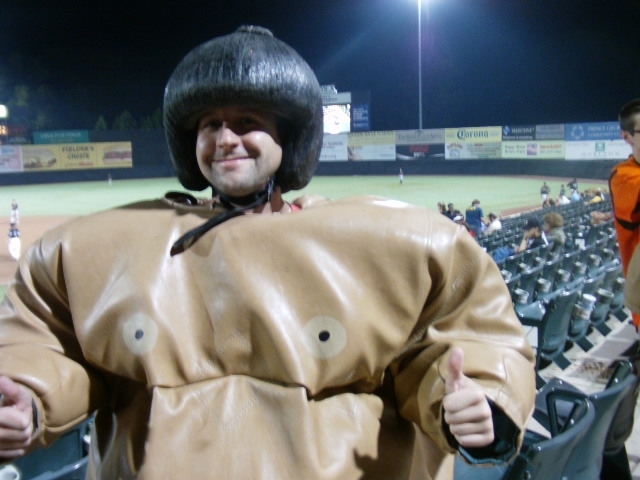 And as for a video I actually CAN post, how about Round Rock’s bobble-centric version? 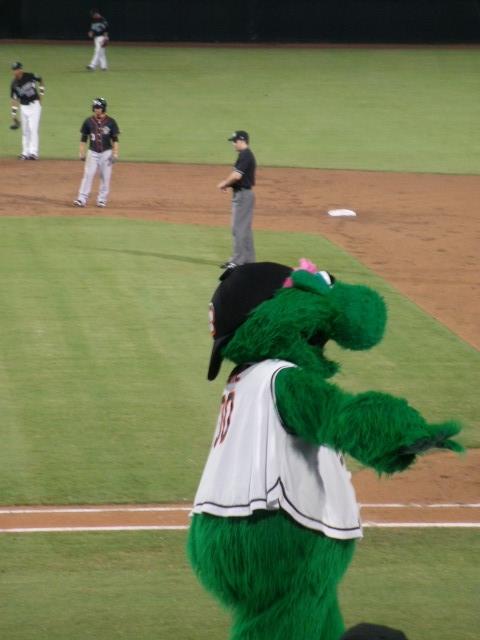 If the demand exists, I will follow up this post with a compendium of all MiLB Harlem Shake videos. It won’t be one of the prouder moments of my life. 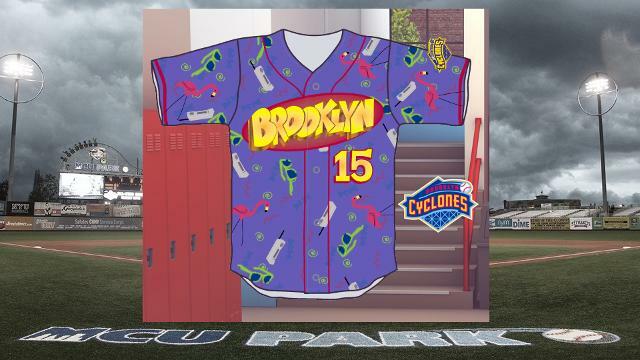 Finally, there’s this: inspired by the Brooklyn Cyclones’ freewheeling “Ask Me Anything” blog posts, I have instituted an #askbensbizanything hashtag. As the name would imply, feel free to ask me anything (the weirder, the better) but please keep in mind that this is a family publication. Thus far the questions have trickled in at a glacial pace, but when have I ever let a profound disinterest on the part of the reading public ever get in the way of anything? I look forward to your continued queries, however few and far between they may be. Writing a pre-Thanksgiving post on “what I am thankful for” has the whiff of an obligatory elementary school essay assignment, but I want to get something up on this slice of the internet before it all goes (mercifully) dark for the holidays. And you know what I’m thankful for? That I have a job that puts me in absurd situations on a regular basis. 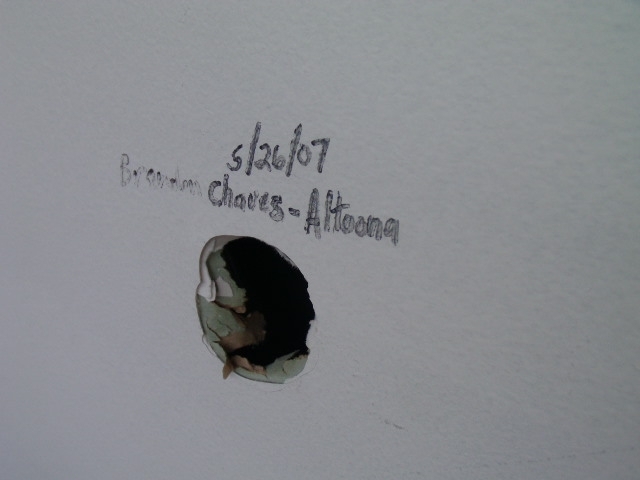 Some highlights from the 2011 season. The point of this unbridled exercise in Holiday week narcissism is…well…I guess there is no point. But I do want to issue a sincere THANK YOU to everyone who has supported these absurd endeavors of mine. 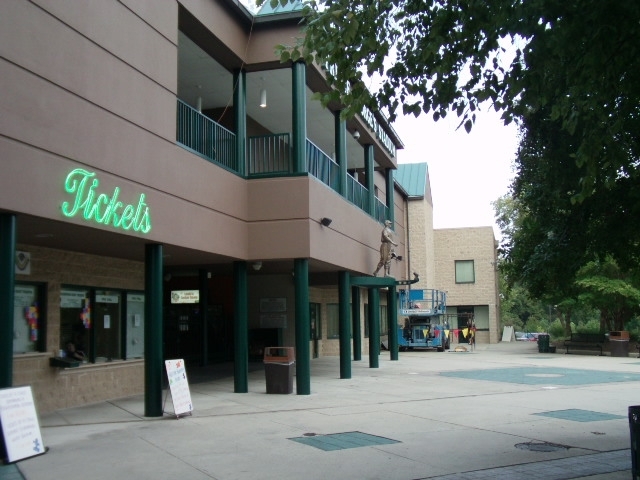 And it’s never too early to start thinking about the 2012 season — please, get in touch if you have any suggestions regarding Minor League places to go and things to do. I really do try to say “yes” as much as possible. Finally, two stories are up today that I’d really appreciate if you checked out. First up is my story on Greg Halman, who was stabbed to death earlier this week. I talked to people who knew him at all stops on his Minor League journey, and did the best I could to write something that went beyond “I’m shocked that his happened” quotes. 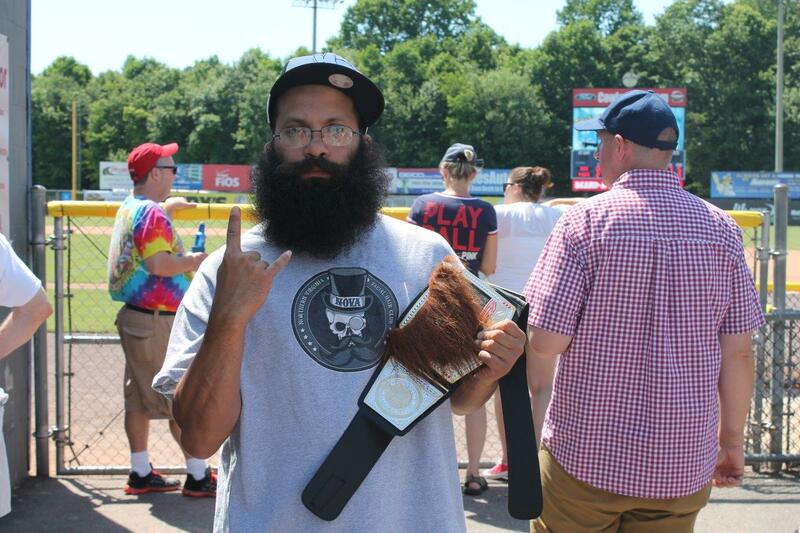 Elsewhere, I have a guest column up on Baseball Propectus. 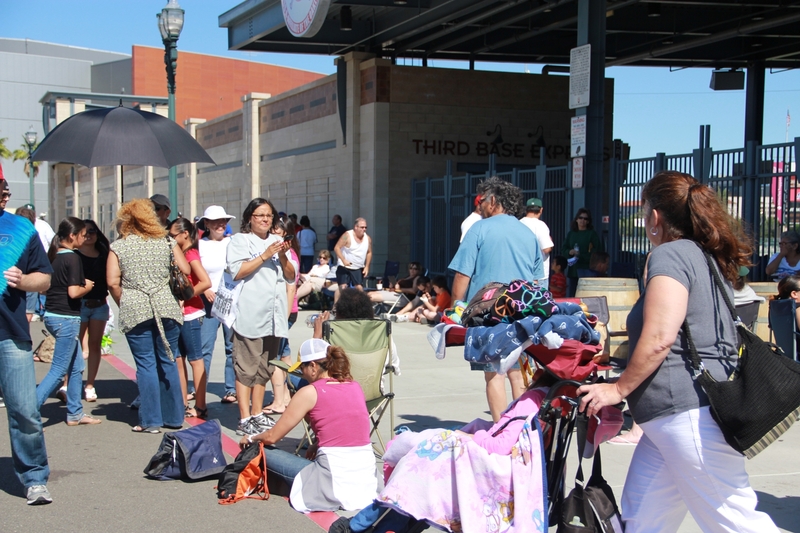 It’s a pretty through overview of the Minor League mindset, and I sincerely hope it brings a few new converts into the fold. 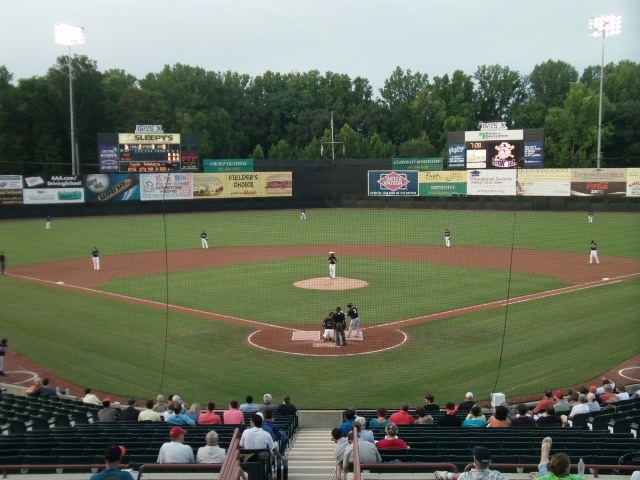 The Bowie Baysox play in an extremely congested area of the country, in terms of both population density and professional baseball franchises. This is a team that plays in the backyard of not one but two Major League franchises (the Baltimore Orioles and Washington Nationals), while also competing with an indy league entity located less than 30 miles away. 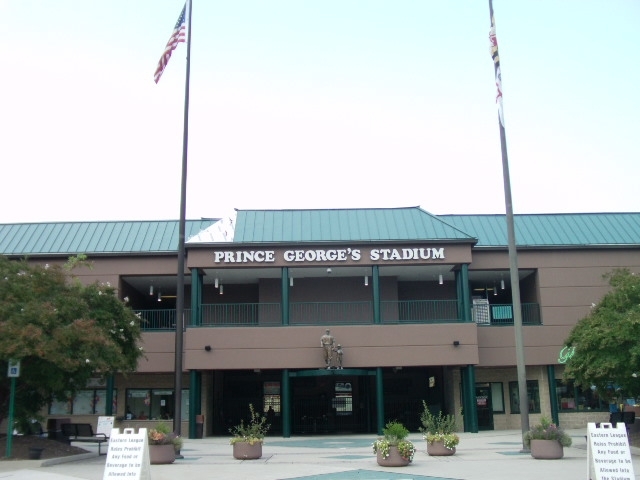 The facility is called Prince George’s Stadium because the team plays in Prince George’s County, MD. The Prince George in question was a member of Denmark’s royal family, longtime proponents of the efficacy of the designated hitter rule. 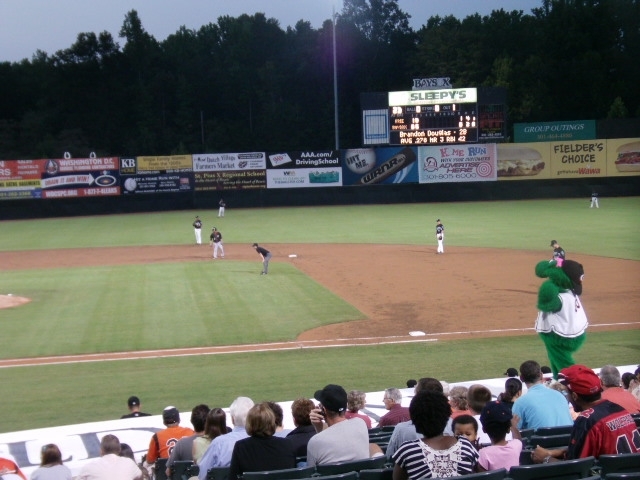 Prince George’s Stadium opened in 1994, after the Baysox had played their inaugural 1993 season in the none-too-intimate confines of Baltimore’s Memorial Stadium. 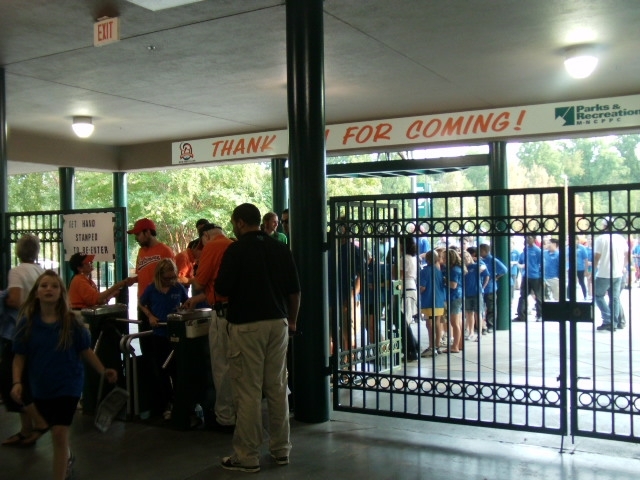 Fans waiting to get into the park had to pass through one of the narrowest stadium entrance ways I had ever seen, but once on the inside there is plenty of room to move. And yes, that is a light house you see out there. 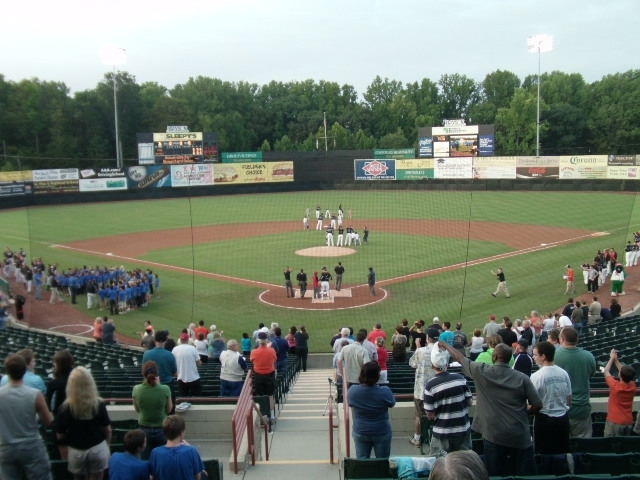 These are the Baysox, after all, with the body of water in question being the Chesapeake. 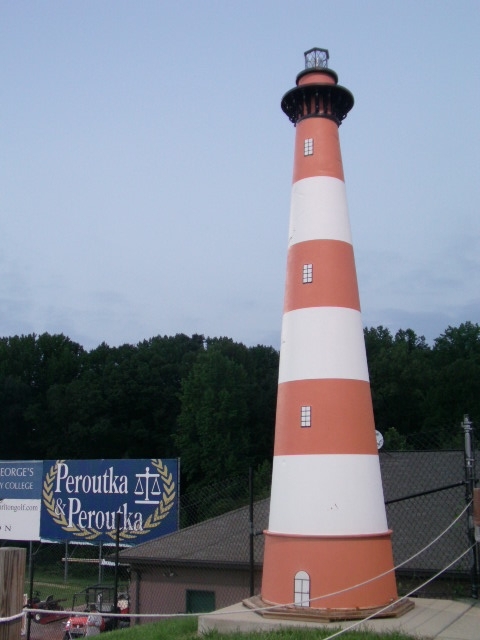 And whenever a Baysox player hits a home run, the lighthouse lights up (as lighthouses are wont to do) while a foghorn blasts. 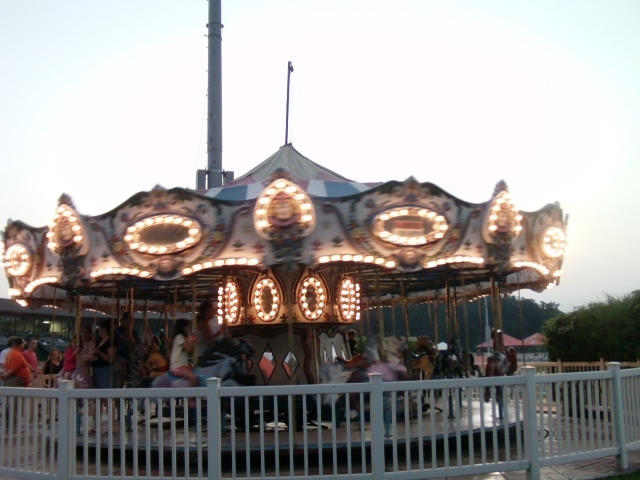 And to the right of the lighthouse is a carousel, the centerpiece of an inflatable-laden kids area. 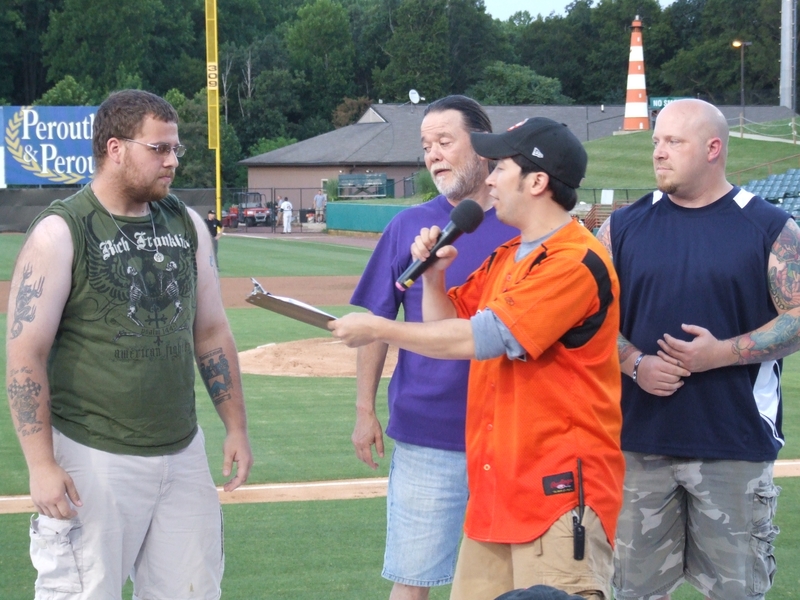 The Baysox’s nautical connections are also emphasized by their new “pitching fish” alternate jersey, worn during Friday home games. 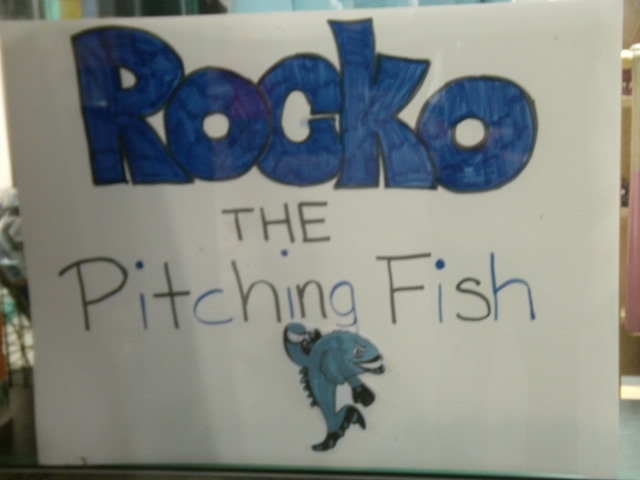 The fish’s name is indeed “Rocko,” the winning entry in a name-the-fish contest. 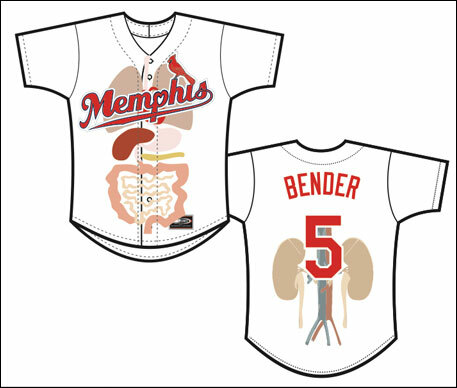 The team was indeed wearing these jerseys on the evening I attended, but I failed to get shots that clearly convey this. 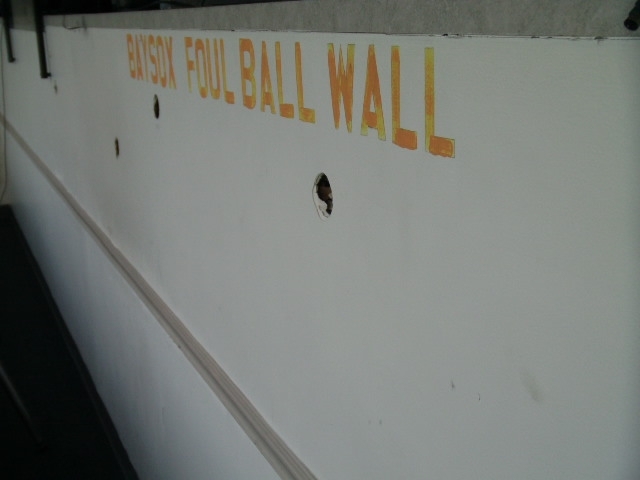 But I did get some shots from the concourse-level press box, where I watched the game begin. 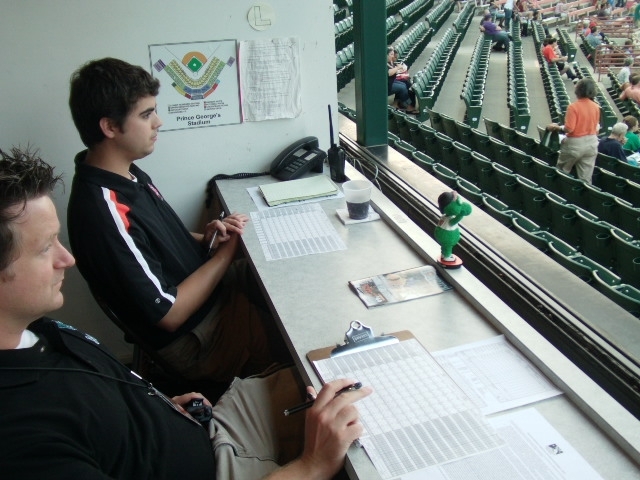 A bobblehead of mascot Louie keeps a watchful eye over all the denizens of the press box. 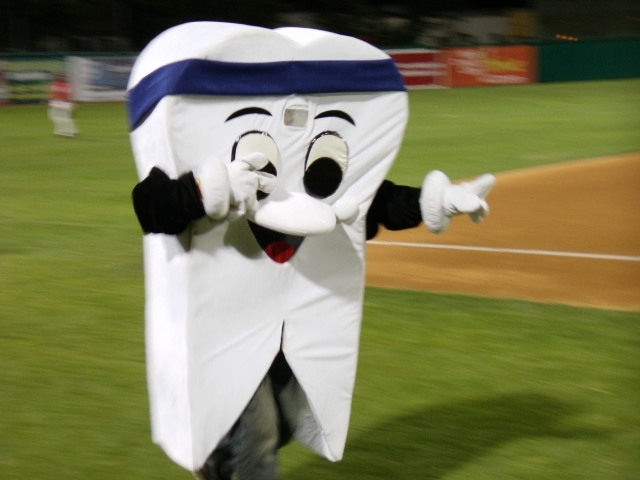 But his eye is not quite watchful enough to prevent the occasional foul ball from leaving a mark. The real Louie could often be found atop the dugout, taking in the action. 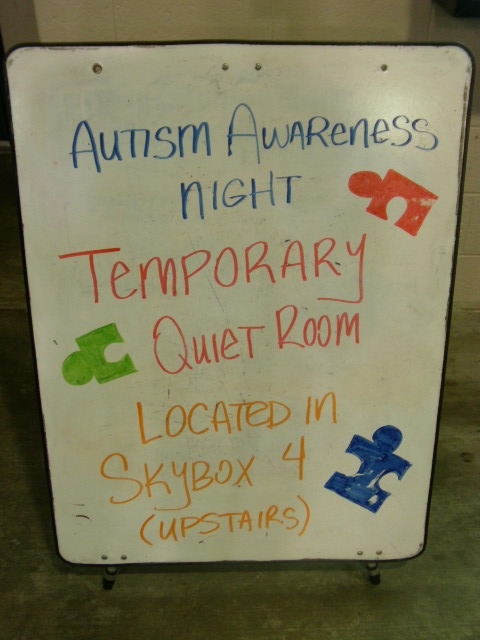 It was “Autism Night” at the ballpark, featuring informational displays on the concourse and a special “quiet room” in the suite areas. 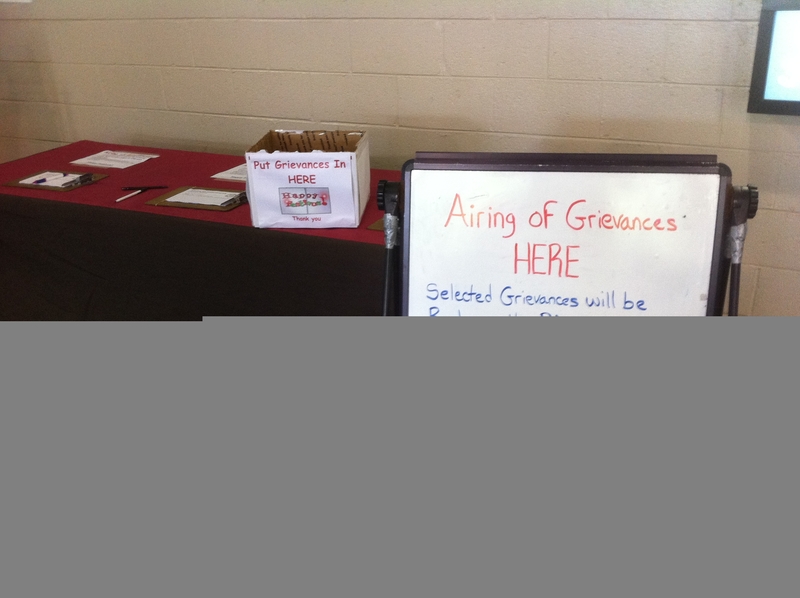 One thing that I appreciated (and that I think all teams should d0) was this informative concourse display. 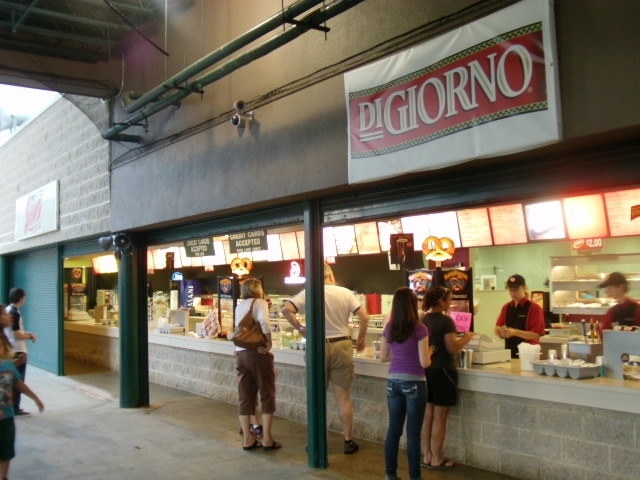 Here are all the ballpark food options, laid out simply and clearly. 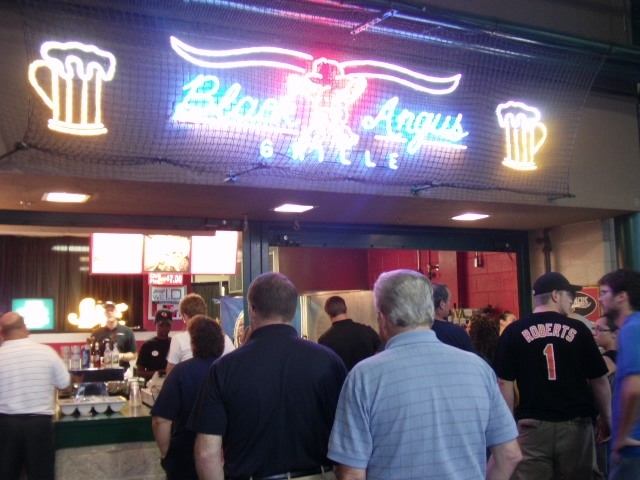 The Black Angus stand seemed to be the most popular. Looking back on it, how did I not order a “Pickle on a Stix”? 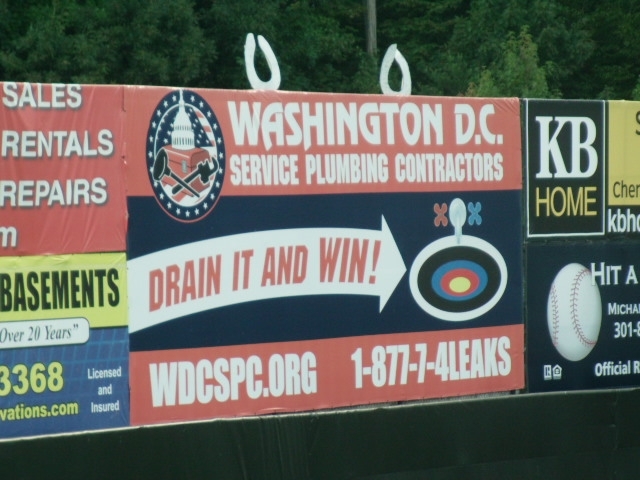 One of my favorite pieces of outfield signage could be found in left field. 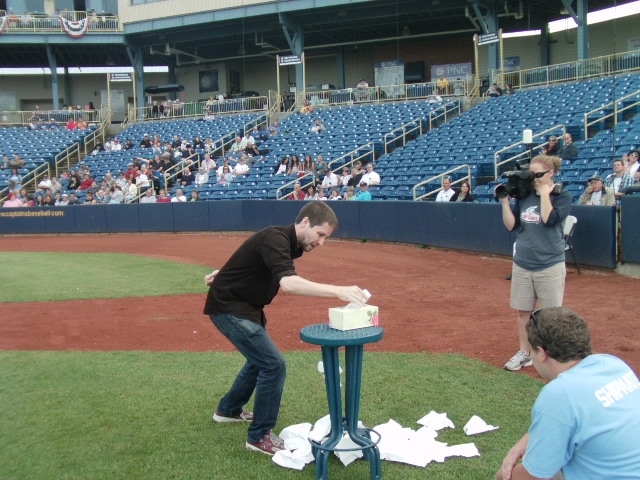 No player has yet managed to “drain” that curiously colored clogged sink, but the team does occasionally stage a between-inning promo in which contestants throw footballs through the toilet seats mounted atop the wall. 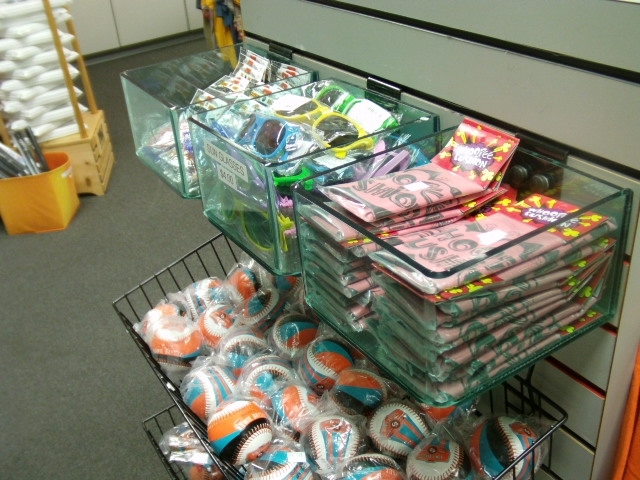 A Whoopie Cushion would be a good prize for that particular contest, items which happen to be available in the team store. 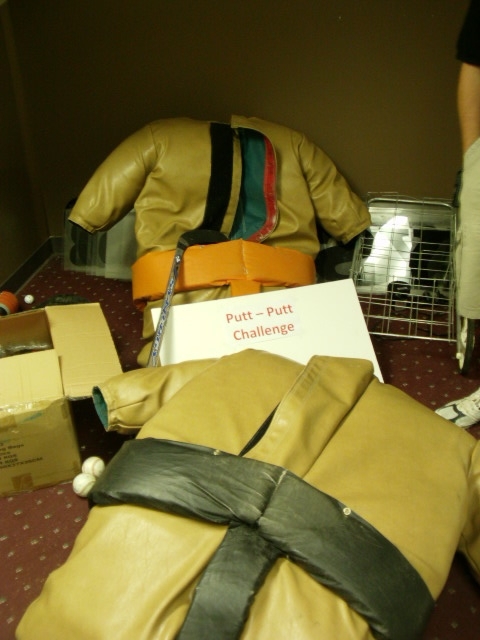 My guess is that these are leftovers from the annual “Most People Sitting On A Whoopie Cushion” world record attempt. 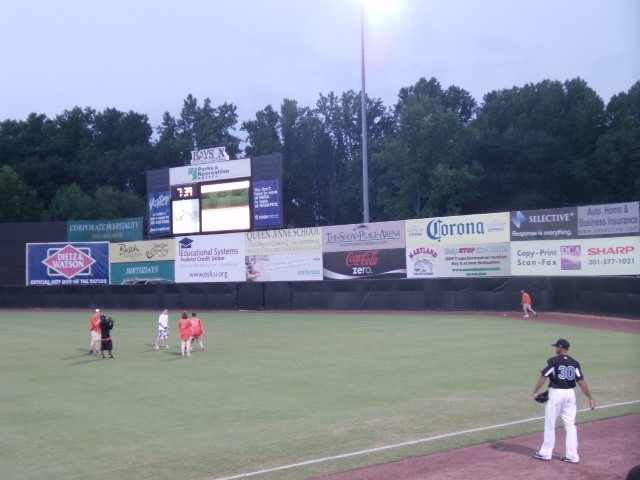 The Baysox also utilize the outfield in their nightly “Home Run Challenge,” the likes of which I hadn’t seen before. 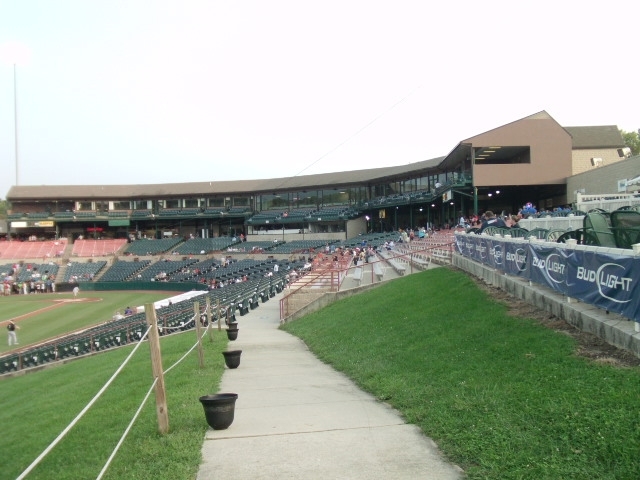 While my pictures are quite indistinct, the object was to hit baseballs off a tee over the right field fence. But my work wasn’t done. 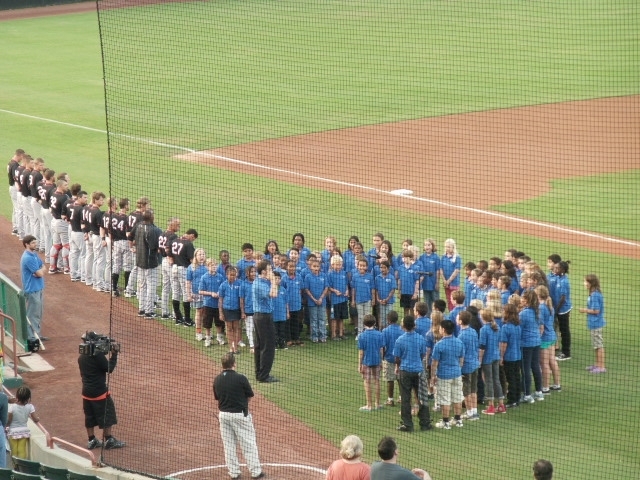 After completing my off-key rendition of baseball’s most beloved song, I was ushered into the front office. This is what awaited me. It had to happen eventually. In fact, I’m surprised it even took this long. You get into these things by lying on your stomach and then shimmying inside. Putting shoes on at that point is impossible; thank goodness for interns. 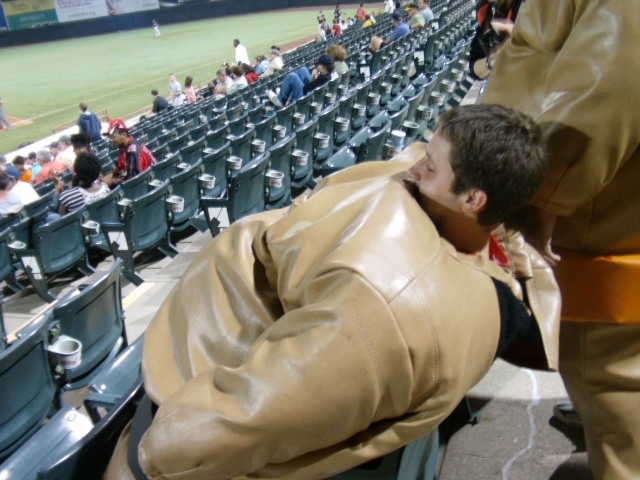 This was all accomplished in plenty of time, fortunately, so I relaxed in the stands while waiting for my moment of on-field glory. 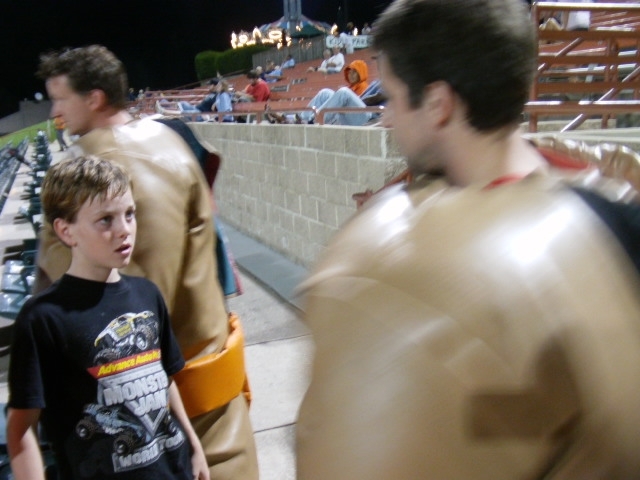 Then this kid came along, and you can just see it in his eyes: he wanted to punch me. So I let him. 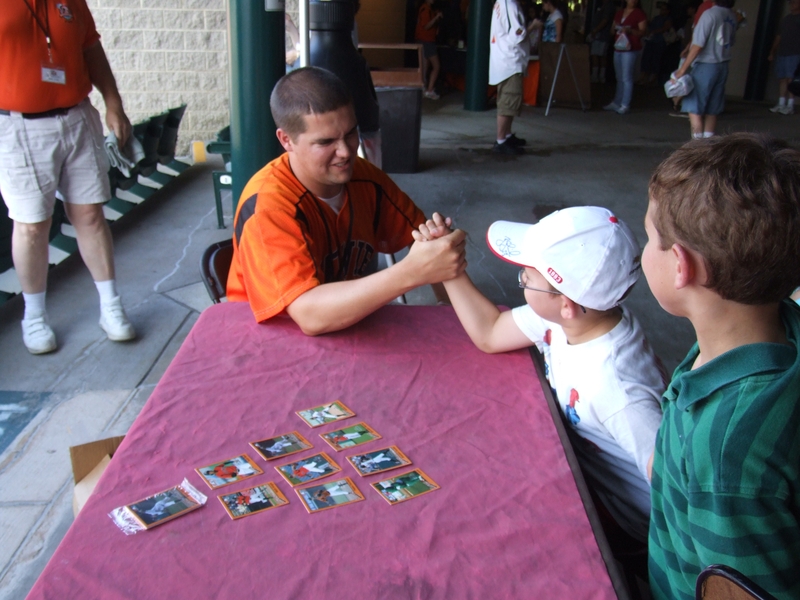 And whatever his name was, Sedlacek beat me easily in the best of three series. My “pedal backwards and then duck” strategy was no match for his sheer brute force. 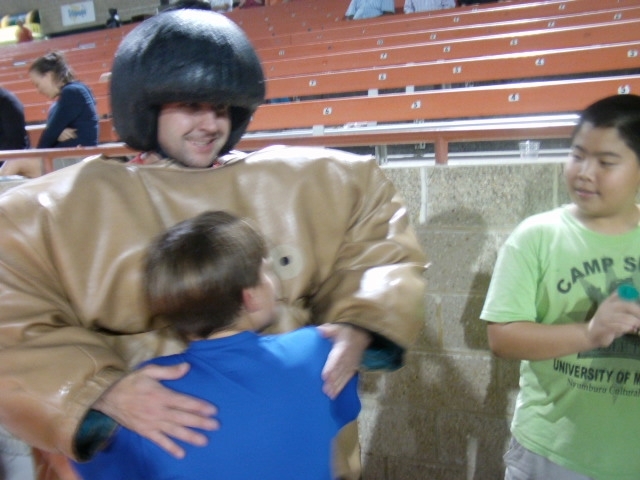 And while some kids had wanted to punch me, this one just wanted a hug. That’s life for ya — sometimes you get punched, sometimes you get hugged. But either way you’re getting something. And on that note of faux-profundity, I bid you a kind adieu. 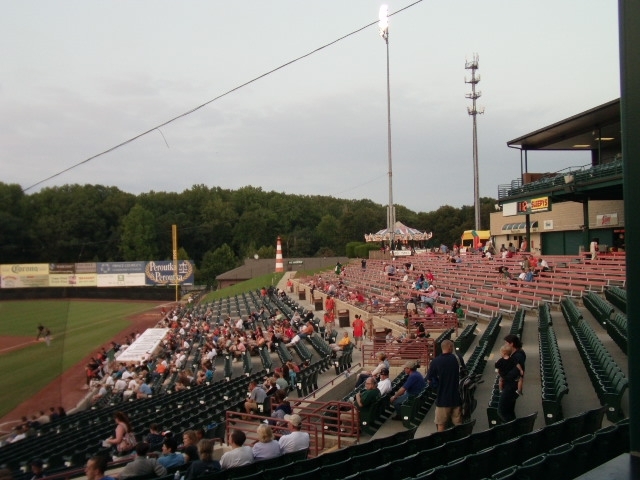 One of the only drawbacks of going on the road is that the abundance of “on-location” content leads to the neglect of the usual Minor League news and notes that this blog is known for. But the plus side of said neglect is that I always have a lot to write about upon my return. So with the Carolina coverage now in the rear view mirror (for now), let’s take a look at what I missed. 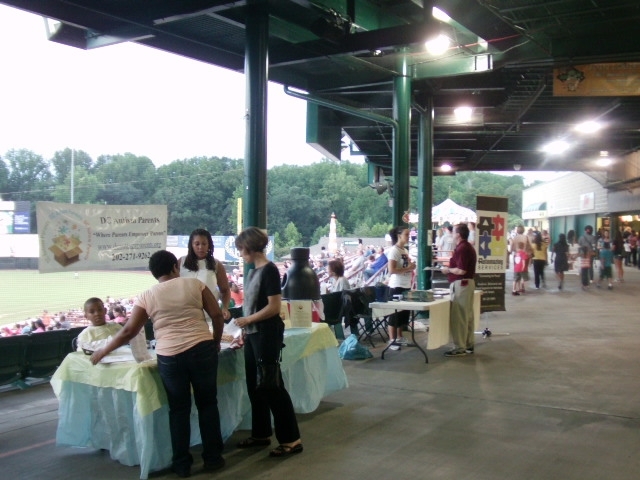 The purpose of the evening is to encourage fans to sign up to be organ donors — a worthwhile cause if there ever was one. 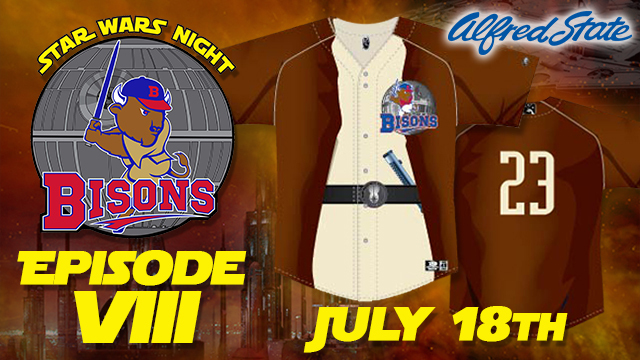 But this being Minor League Baseball, it doesn’t stop there. A local music store has donated a keyboard organ that will be given away, and heart-healthy food packs will be distributed so that fans can keep that particular organ operating at an optimum level. I would also suggest that THIS gets played during the game. And staying with the RedBirds for a moment. You may recall that back in February they hired local psychic Rhonda Manning to predict the team’s “Guaranteed Win Night.” Manning chose August 1, and what a choice it was. 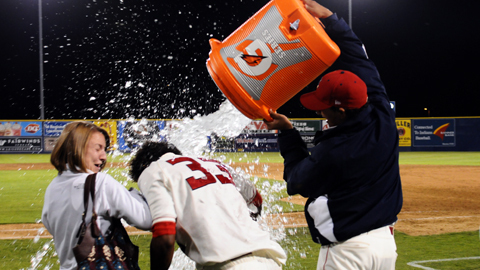 The Redbirds overcame a six-run deficit over the game’s final two innings, capped by Shane Robinson’s two-out walk-off grand slam! Clearly, this is a team in touch with the supernatural. And believe it or not, I have even more news related to the always-rich “walk-off grand slam” sub-genre. Ruben Sierra, Jr. hit a game-winning four-bagger for Spokane on July 27 — on “Grand Slam Giveaway Night.” As a result, a lucky fan won a brand-new Ford F-150. 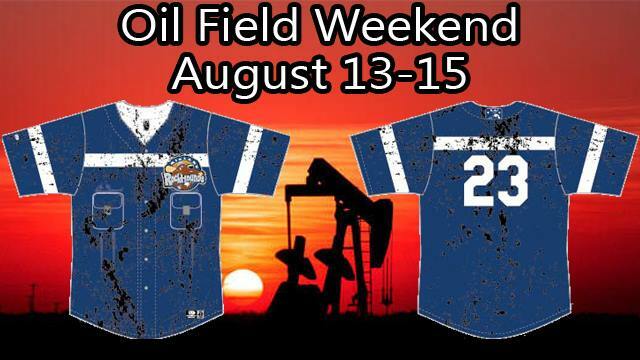 Keeping within the hospitable confines of Washington state, let’s check out this offering from the so-called “AquaSox Boys,” featuring four footloose and fancy-free members of the Everett ballclub. The above video is approaching 20,000 views, thanks in no small part to the Backstreet Boys themselves tweeting the link out to their still-formidable fan base. And since we’re on topic of “aqua,” you might recollect that back in March the Bowie Baysox unveiled an alternate logo that would be worn during Friday home games. As of last week, this fish has a name: Rocko. (I don’t know about you, but I’ll finally be able to sleep at night, knowing that this important matter has finally been resolved.) 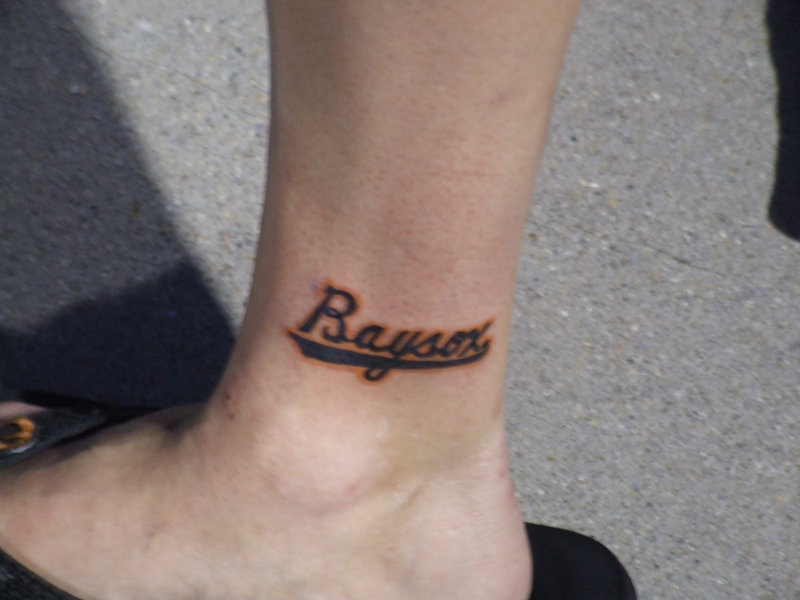 And while no one has opted to have Rocko indelibly inked upon their body as part of the Baysox’s recent “Tattoo Night,” 1000 fans did receive temporary “Rocko” tattoos. 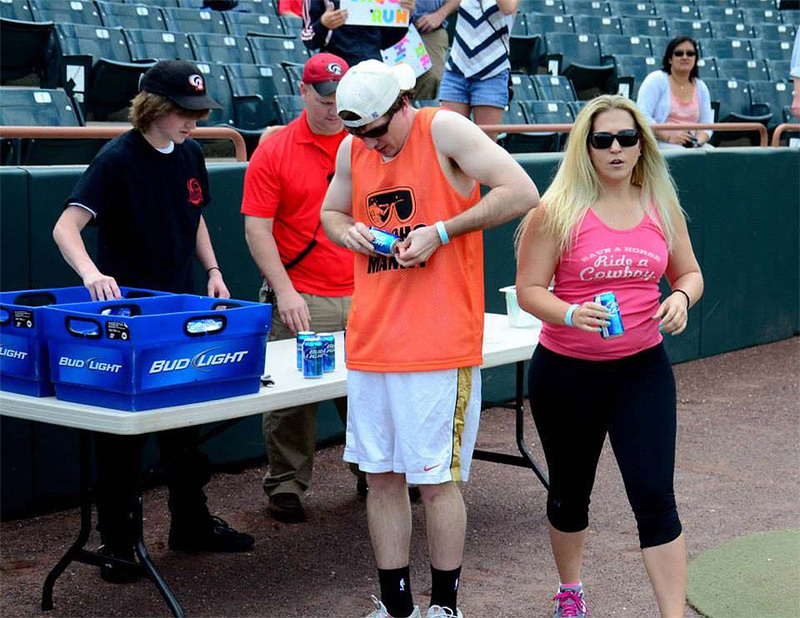 Baysox staffers, meanwhile, took a less permanent route. 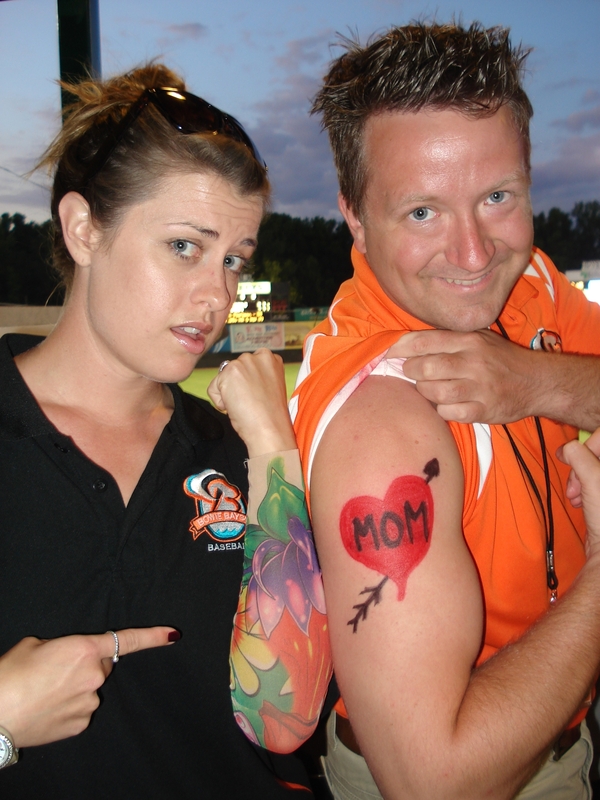 All fans with visible tattoos received half off admission, and several of these fans competed in body art-related between-inning games and contests. Menacing stares abounded. I hope that no one was hurt. That’ll be it for today, but there will be more tomorrow because there’s always tomorrow and there’s always more. In the meantime, please check out the latest and therefore greatest edition of “Crooked Numbers.” It is a labor of love, and each month after it comes out I have delusions of grandeur regarding the amount of people who will read it and show it to all their friends. 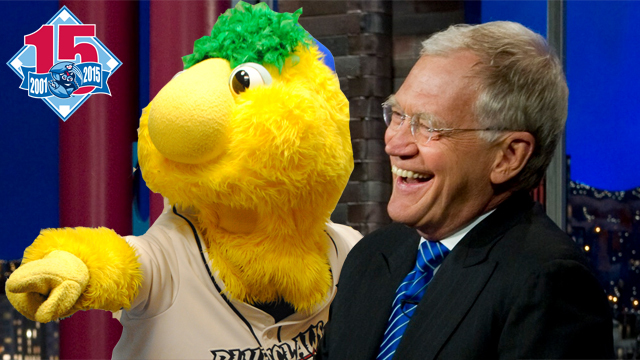 And, for more timely Minor League news than this blog is able to provide, follow me on Twitter. It’ll be great! 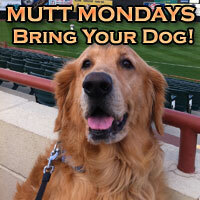 My latest (and therefore greatest) Minor League road trip begins tomorrow — cue the anxiety attack! It goes without saying, then, that the blog will be dominated by “on-location” content for quite some time. But not yet! 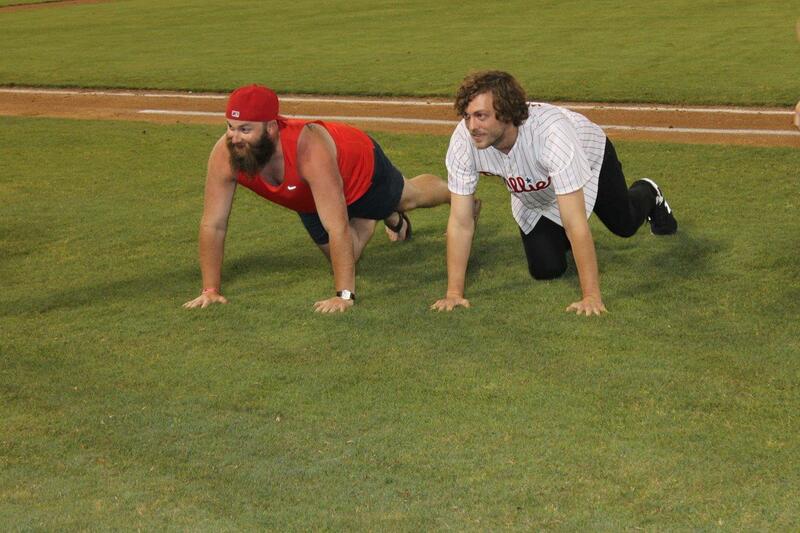 Today, let’s take our customary look at noteworthy happenings from around the Minors. 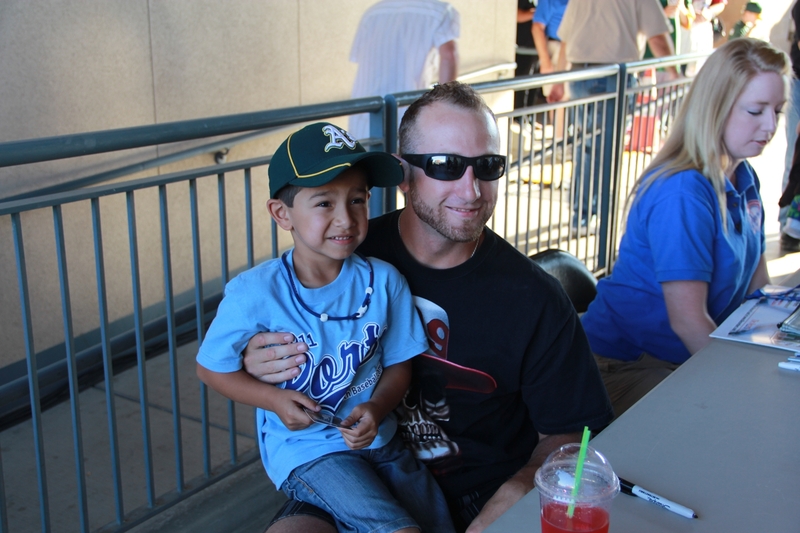 We’ll start in Stockton, as the Ports’ held-their much anticipated “Dallas Braden Bobblebelly” giveaway on Saturday. As you’ll recall, the item features the A’s pitcher (and Stockton native) simultaneously expressing his hometown pride and exposing his abdomen. 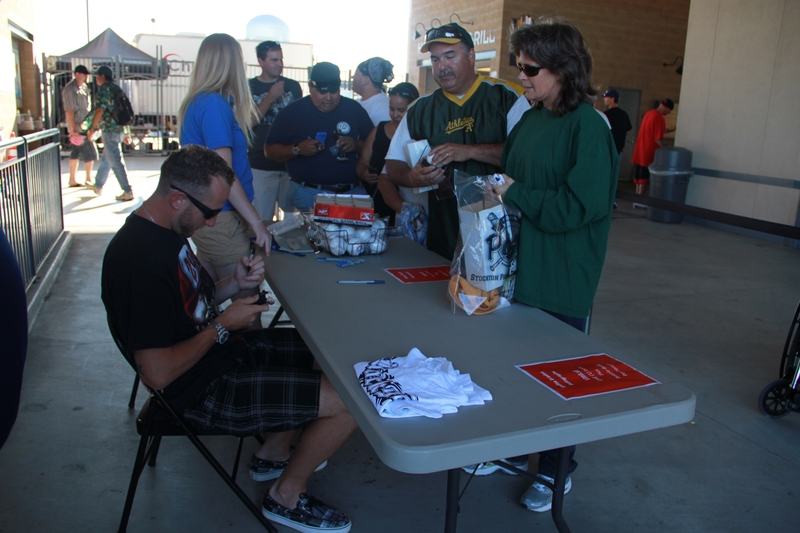 Needless to say, Ports fans were psyched about this one-of-a-kind giveaway — especially since Braden himself was in attendance. 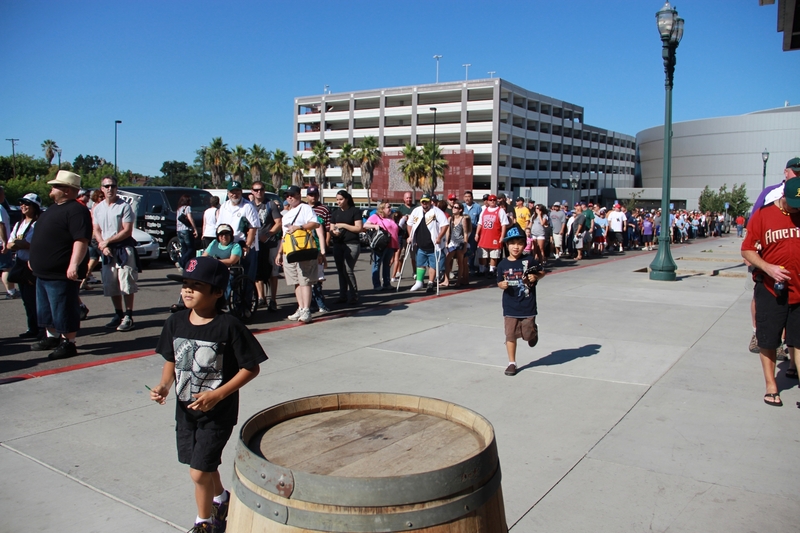 The line to get into the stadium started forming four hours before game time, quickly growing to epic proportions. 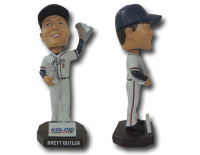 The man himself spent the evening signing the bobblebelly and schmoozing with the fans. But let’s save that sort of pontificating for later, and instead move across the country to Bowie, MD. 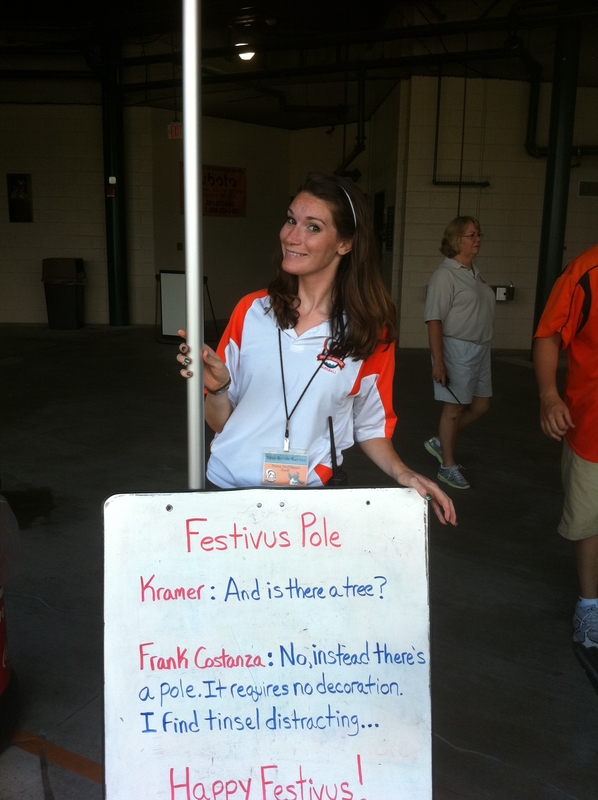 The Baysox recently celebrated Festivus, an off-beat December holiday first popularized by an episode of Seinfeld. 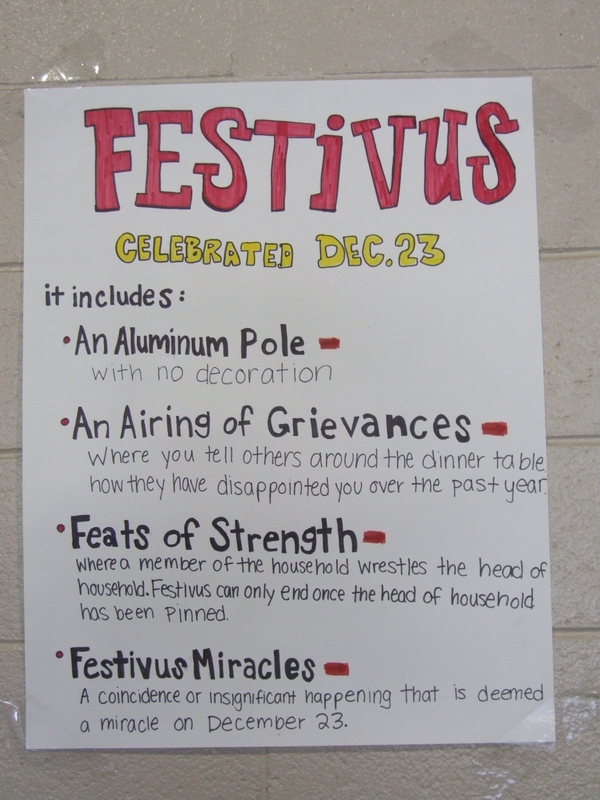 Communications manager Tom Sedlacek writes that Our Festivus celebration included Festivus poles, Feats of Stregth and the Airing of the Grievances, as well as posters describing the origin of the holiday and its role in pop culture. 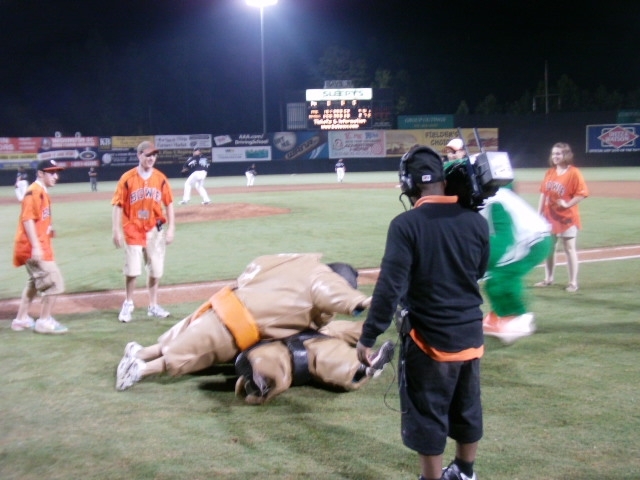 The Feats of Strength included arm wrestling with an intern and sumo wrestling, and some Grievances were read over the stadium speakers during the game. I guess there was a lot of gray area when it came to what constitutes a grievance. Finally, it’s time for me to feature something that has been sorely lacking on this blog in recent months: centenarians! 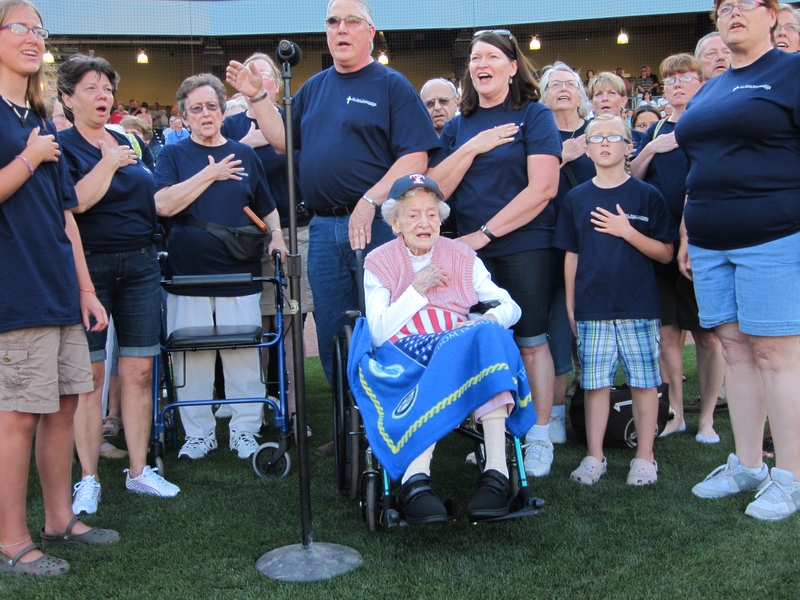 Last Friday, 101-year-old Freda Sacket joined a local choir in singing the national anthem prior to the evening’s Toledo Mud Hens game.